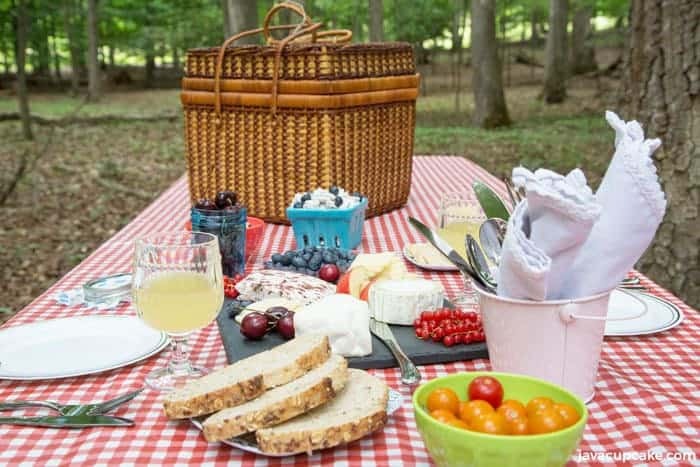 Treat your family to a fun summer day at the park with this Kid Friendly Picnic and Charcuterie Board! Let me set the scene for you. It’s a beautiful summer day and you want to get the kids out of the house for a fun afternoon at the state park. Food, games, and exploring. Sounds great, right? Sounds great until you realize that you’ll need to make and pack lunches and snacks and that is a lot of work when you just want a simple afternoon. 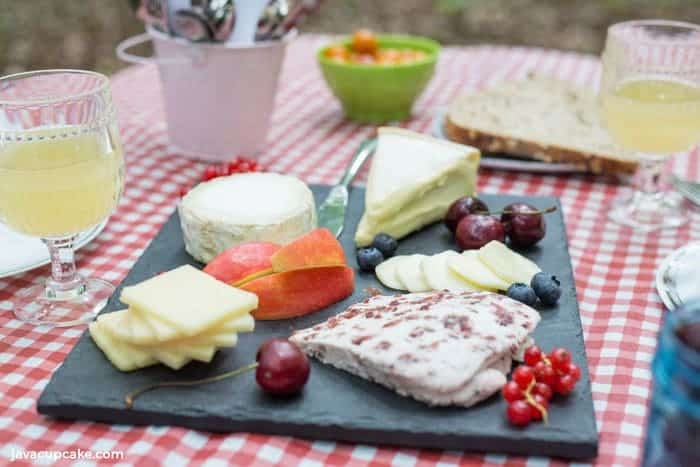 So, you decide to rummage through your kitchen to find finger foods that you and the kids can enjoy all afternoon at the picnic table of the park and the idea comes to you… Charcuterie Board (aka cheese board)! Then you realize your kids are not about to eat stinky cheese and seed filled bread just because you like it. So you have to come up with a way to incorporate the things your kids love into a picnic & charcuterie board your kids will actually enjoy! Here’s how I incorporated the food I love with the food my kids love too! Let’s start with the charcuterie board first. I was given this slate board by Rock Timber to try out in exchange for the use of photos on their blog. The black slate they sent me is a beautiful and unique hand-cut and food-safe chiseled slate, handcrafted with a smooth face and natural edge. You can use any wood or slate board for your charcuterie, however it’s just really more fun with it’s on beautiful slate from Rock Timber! As you can see in the photo above, I selected a variety of cheese and fruit to satisfy everyone. 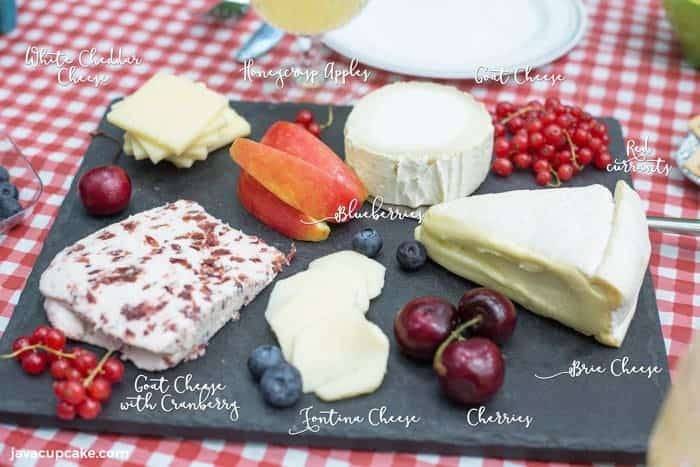 I paired milder cheese like fontina and white cheddar that I know my kids already love with stronger cheeses such as brie and goat cheese for the adults. The “stinky cheese” as my kids call it. In my family, apples and cheddar cheese always go together so I included honeycrisp apple slices as well. A few cherries and blueberries mixed with red currants finish off the board. I kept it simple with the bread and crackers to go with the charcuterie board. When you make this, include your favorite breads but keep in mind what your kids like too! I chose a whole grain bread with seeds and White Thin crackers which were perfect with the cheese. Not only does firm cheese go well with apples, cream cheese and brown sugar do too! 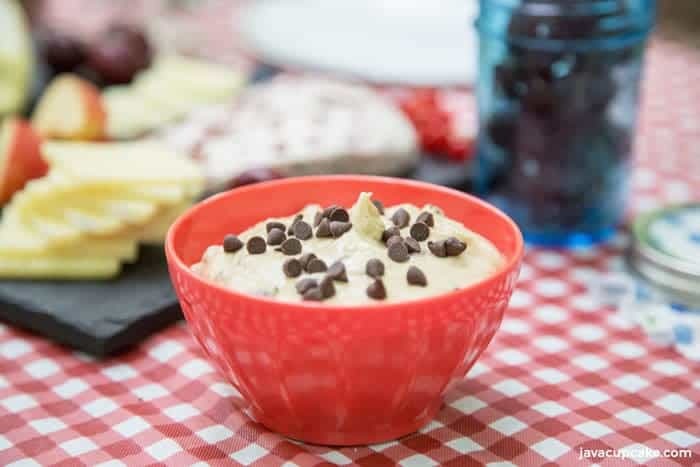 Accompanying the other items on the picnic table was a bowl of Fruit Dip made with cream cheese, brown sugar, and chocolate chips. This Fruit Dip goes great with almost every fruit as well as cookies such as vanilla wafers and graham crackers! 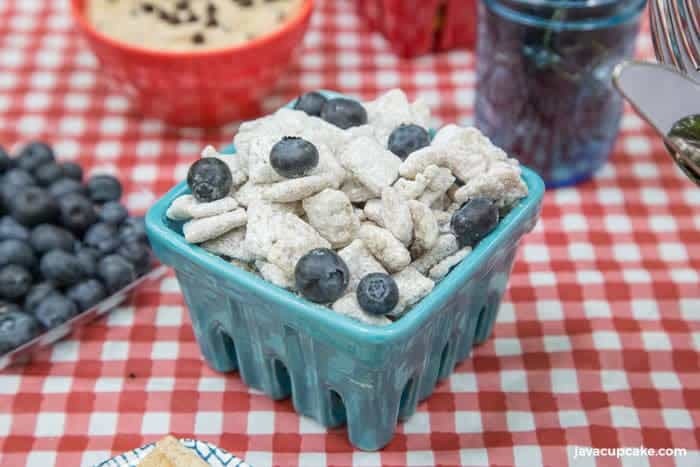 I wanted to keep the dessert for this picnic simple so I made Muddy Buddies. Not just any recipe though, these are Lemon Blueberry Muddy Buddies made with fresh lemon and Blueberry Chex. Don’t be afraid to go simple by choosing cheese you know your kids will love. Serving it on the board makes it fun and special and your kids will pick up on that. Not everything has to be the most expensive item at the deli. Creating a delicious charcuterie board doesn’t have to break the bank. You can still serve items found in your kitchen already or at the store within your budget. Presentation is key. Once you have the items you love… get creative! Cut the cheese into octagons, triangles or rectangles. Arrange the cheese on the board in a way that makes it look special. Do more than just stacking in piles. Spread the cheese and other food out makes it feel special. Don’t forget dessert! 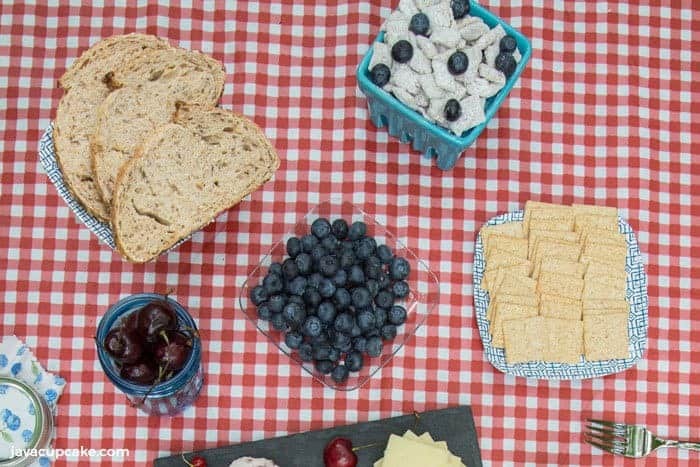 Finger foods are perfect for picnic desserts. The less silverware and serving utensils you need, the better. 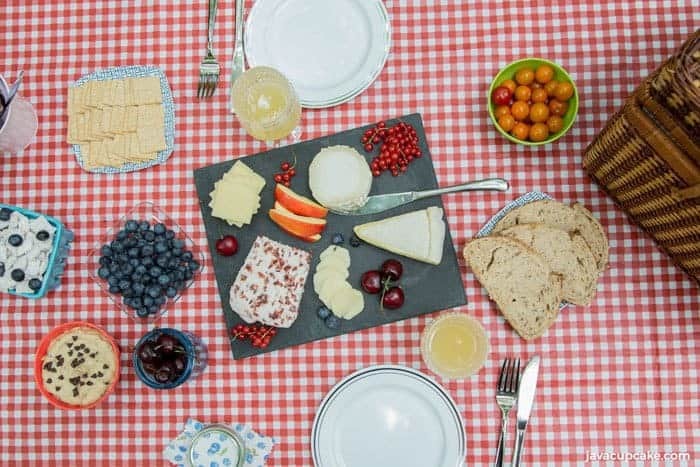 I really encourage you to get out there and put together a picnic and charcuterie board for your family! There are no rules when it comes to food like this… just fun!